A few days ago, sitting comfortably on the sofa, listening to popular 1940s songs by Vera Lynn, Doris Day, and Peggy Lee, the curtains drawn against yet another dark February day, I embarked upon Mary Wesley’s novel of wartime England. It is August 1939. Five cousins, the eldest not yet twenty, and their childhood friends, the Rector’s twin sons, gather for their annual holiday at their aunt’s house in Cornwall. Oliver is just back from the fighting in Spain, and tries hard to impress with his bandaged head, his crude words, and his tales of violence and death. Beautiful Calypso is discovering the power she has over men. Polly says little, but looks on in amusement, biding her time. Walter and the twins fantasize about joining the Air Force and the Navy, while ten-year-old Sophy runs after them all, plaintively calling to them to wait for her. The group’s last few days of peace are spent teasing the adults, swimming, and devising new games. The latter do not appear as innocent to the reader as they do to the children who joyfully plan them: the Killing Game, disturbingly reminiscent of the barbaric games carried out in Lord of the Flies, has a particularly ominous ring to it. Who will survive this game, one wonders? 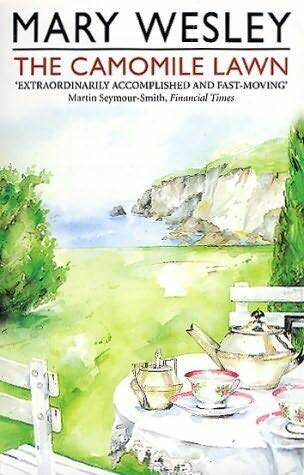 The main plot alternates with passages set in the 1980s: now old, the protagonists make their way to a funeral, which will bring them all together in the house on the Cornish coast for the first time since the outbreak of the war. Speeding along the motorways, driven by more or less willing members of the younger generation, they reminisce about the war that coincided with their coming of age. And all make the startling, recurrent, statement that the war was fun, and exciting. Affairs of the heart take precedence over politics: unexpectedly freed by danger and uncertainty from the constraints of conventional relationships, the protagonists throw themselves into adultery, accumulate lovers, make sexual licence their norm. Gathering infrequently in the basement kitchen of Polly’s London house whenever the men are on leave, the cousins exchange news, crack jokes, feign cynicism to hide fear, disillusion, and pain, and only occasionally confide in each other. These episodes stand out in the narrative like frivolous, lamp lit, laughter-filled oases in the bigger, darker context of blitzed London. However, there is very little direct reference to the war itself. It is ever-present in the background, in the details of everyday life: black-out curtains, ration cards, barbed wire along the cliff walk in Cornwall, uniforms, air-raid sirens, rubble in the streets of London, and telegrams from the front. But there are no combat scenes, no lengthy descriptions of war work, no effusions of emotion when bad news is received. There are no acts of heroism, no redemptive love affairs, no wallowing in nostalgia for a time now gone with the wind. In fact, Mary Wesley seems intent on debunking any view of the war as a Homeric epic. Without complaisance, she focuses on a cast of very flawed characters, picking holes in their at times elaborate façades, depicting their hundred and one petty jealousies and resentments, and their all too rare acts of kindness, revealing them in all their selfishness, prejudice, and meanness of spirit. Her wit is acerbic – she makes the reader cringe quite as often as she entertains him. Her preferred medium is dialogue: moments of introspection are few and short, and all description is pared down to a minimum. Her art is to allow her characters to speak for themselves, to damn (or redeem) themselves without any outside help. Her prose takes a little getting used to, for phone conversations are invariably one-sided, leaving the reader to guess from the responses what the other person has said, and there is often no indication in a conversation of who has spoken, obliging the reader to work it out by himself according to the context and what he knows of the personalities of the speakers. This can be confusing when several remarks follow one after another: the characters’ bodies melt away and only their disembodied voices remain, stripped of any authorial comment. It is left to the reader to imagine what hidden depths of meaning and emotion lurk behind the words. Mary Wesley’s aesthetics is one of fragmentation: applied to experience, dialogue, and narrative sequence, it manages to convey the disconnectedness of a life lived almost exclusively in the moment. The Camomile Lawn is a disquieting read, but a deeply interesting one, and one which leaves the reader pensive for many hours afterwards. This entry was posted in Book Reviews, Fiction and tagged Blitz, Cornwall, family, London, World War Two. Bookmark the permalink. For those of you who like movies, a TV mini-series was done in 1992, starring Jennifer Ehle, Tara Fitzgerald and Toby Stephens. I haven’t seen it yet, but I’m going to buy it as soon as possible – and with a cast like that, I’m pretty sure it’s good! Having just read The Camomile Lawn, I found it fascinating and engaging. I loved the characters and the novel became something akin to a warm cosy blanket. The characters were so vividly portrayed, I felt like I knew them by the end of the novel – such is Mary Wesley’s genius. I reviewed the book too at the book club cafe, but not nearly as comprehensive a review as this one!